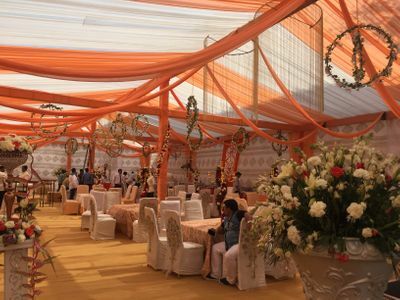 As ours was a big fat Indian wedding with a line up of over two weeks full of festivities, we knew we?d have to dig out a decorator who would not only understand our needs but lay-out something different in every function or occasion. 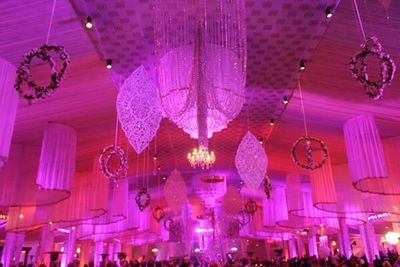 Elusive Dreams by Pooja Gupta is just the event company which will add those extra glitters on your wedding functions. Pooja is a young, vibrant & innovative entrepreneur who has the knack for not only providing but catching her clients' demands. 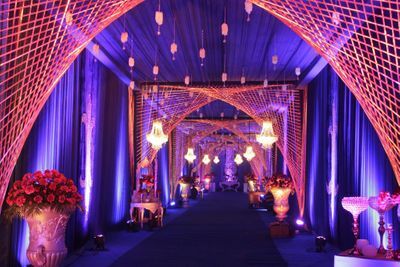 She has ample experience in luxury wedding dcor and works with full dedication towards her job. What I loved about her work was that she was able to give each of our functions a different theme and feel. She not only took care of my engagement, cocktail & mehndi but also smaller ceremonies such as haldi & choora with full efforts. 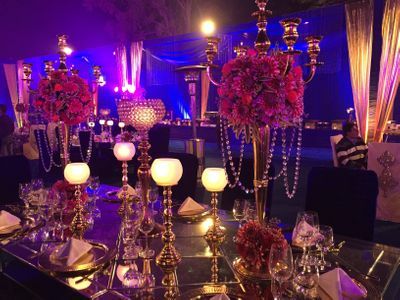 I would most specifically recommend & applaud her work for my day mehndi function, in which we?d asked her to play around with different dcor, table center-pieces , photo-ups and prop elements. Pooja executed the function with utmost finesse and brought out a complete color burst which was not only a delight for our guests but our photographers too!! Thank you Pooja, please keep up the good work ! I highly recommend Team ED's work in case you're looking for innovative luxury decor ideas! !